Call of Duty: Infinite Warfare Review | Nerd Much? Every time we hear about a new Call of Duty release, you have two sets of fans: those who are outraged by its continual iterative releases, and those who bleed Call of Duty. Typically speaking, I find myself set right in the middle nowadays, neither outraged by a new game nor excited — at least, excited to the extent that I once was. I’ll preface this Infinite Warfare review by saying that I used to be a die-hard CoD player, going to every midnight release and playing the new game until the wee hours of the morning. It’s relevant because, like many, I’m very familiar with the franchise, having played each new title extensively. When Infinite Warfare was announced, of course, even many longtime fans threw their hands in the air because of its sci-fi nature. 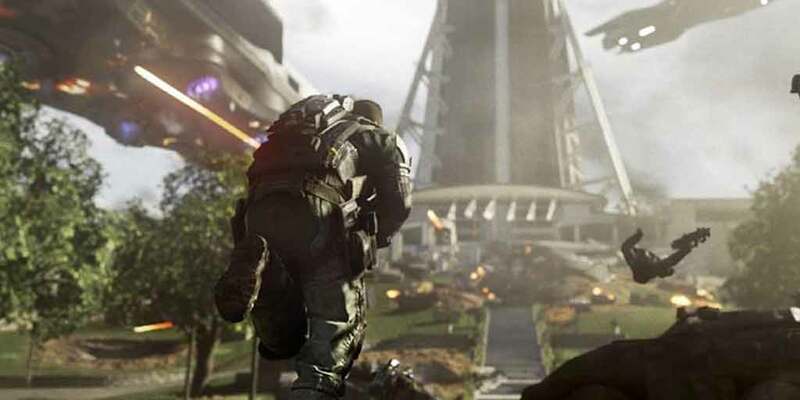 The initial trailer looked nothing like a Call of Duty game, so many are hesitant to pick up Infinite Warfare in fear that it has gone off the deep-end, so to speak. So, is Infinite Warfare worth strapping on your boots for? There’s certainly a lot to love about the newest Duty game, and its most commendable aspect is the new Zombies in Spaceland mode. This is, hands down, the best zombie mode to date, thanks to its over-the-top 80s tropes (which is one of the main reasons Nerdmuch.com is even able to exist) and brilliantly designed map. Zombies in Spaceland drops you and up to three other players into an empty theme park, tasking players with fighting waves of zombies to survive as long as possible. But it’s not just as simple as pointing and shooting the neverending waves of undead theme park lovers, as Infinity Ward has thrown us some curve balls, including exploding clowns and other types of big bads that make it more challenging. What’s more, when you fall victim to these zombies and your teammates are still alive and kickin’, you’re amusingly tasked with winning mini-games to bring yourself back to life, including skeeball and one of those water gun shooters you’d typically find in a theme park. It’s a super cool idea, but unfortunately, it’s probably not going to be one they can replicate in the future. Why Zombies in Spaceland works so well is because of its generally ridiculous nature, thanks to the inclusion of things like interactive rides that can kill zombies and David Hasselhoff, the DJ. 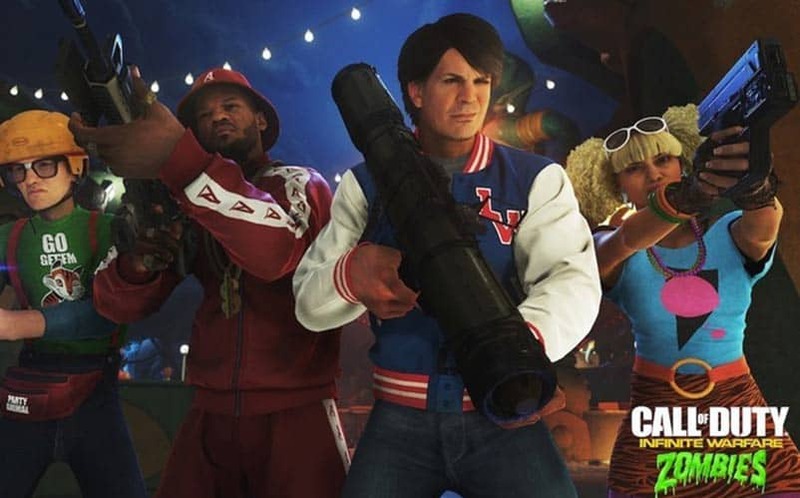 Finding ways to stay alive even longer with your friends in Zombies in Spaceland is one of Infinite Warfare‘s highlights, as you’ll find yourself looking up guides and tips to see just how much longer you’ll be able to last. Rating the zombies mode? Strong A+. The other aspect of Infinite Warfare that deserves praise is its campaign, although it is shorter than we’d like for it to be. The dialogue is noticeably well-written in comparison to past Call of Duty games, and the voice acting is done well (it doesn’t become overly cheesy, which is tough to accomplish in war games). But somehow, despite its heavy serving of sci-fi, it doesn’t feel ludicrous or outlandish, remaining grounded enough to keep the experience interesting. In its campaign, you’ll find some interesting new weapon design choices as well, including a self-targeting shotgun and automated robots that track down enemies to kill, all of which feel like real possibilities for future warfare. You’re not dealing with one-shot, one-kill plasma rifles or lightsabers that slice off limbs, but instead, you’re given tools that could actually become a part of actual warfare in the near future. This is also something that’s tough to accomplish because Infinity Ward could have easily created laser guns that were too powerful and called it a day. Instead, each weapon is presented as “hey, it’s not outside of the realm of possibilities”. The campaign features enough variation, and it’s well-paced throughout — that is, until it comes to a screeching halt after the five hour mark. As far as the campaign’s difficulty is concerned, the normal mode feels slightly more difficult than in previous games, which is neither a plus or a negative. It’s just a fact. I would have liked for Infinite Warfare to have been a couple missions longer — because what’s there is so good. But then again, I’m the first to complain when a single player campaign overstays its welcome. Rating the campaign mode? B territory. With Zombies in Spaceland and the solo campaign being strong, you would think that would translate into a high-quality multiplayer experience. Unfortunately, that’s not the case, as the multiplayer weighs Infinite Warfare down significantly. 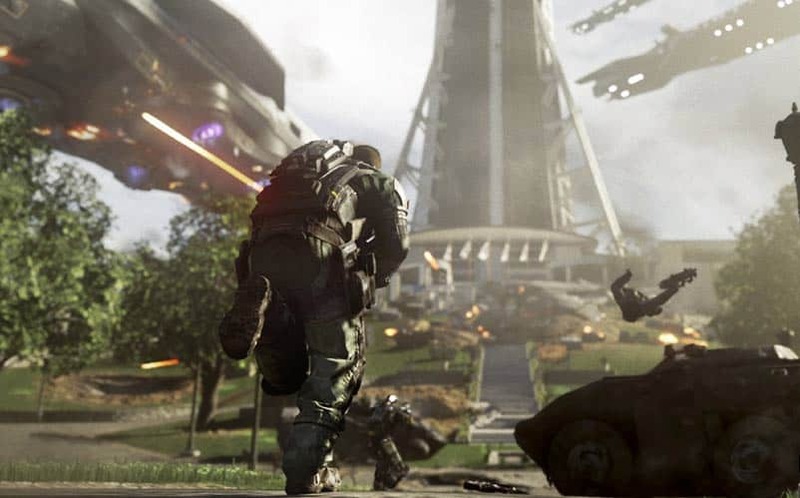 And it’s not like the multiplayer for Call of Duty has been steadily getting better and better over the years — Modern Warfare 2 is, to me, the quintessential example of CoD multiplayer, with each game that followed changing the formula little by little until we arrive at Infinite Warfare‘s iteration. 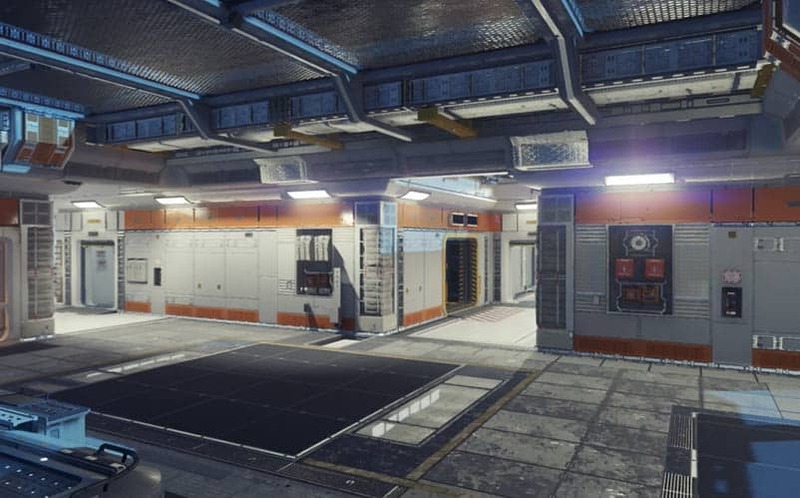 The biggest issue is that it’s now entirely catered to the run-and-gunners — those who want to hop into a quick match, use their SMG or automatic assault rifle to run around the map killing everything they can before dying and doing it all over again. The map designs typically don’t encourage a slower game, which pretty much eliminates those who prefer sniping (such as myself) from enjoying it. 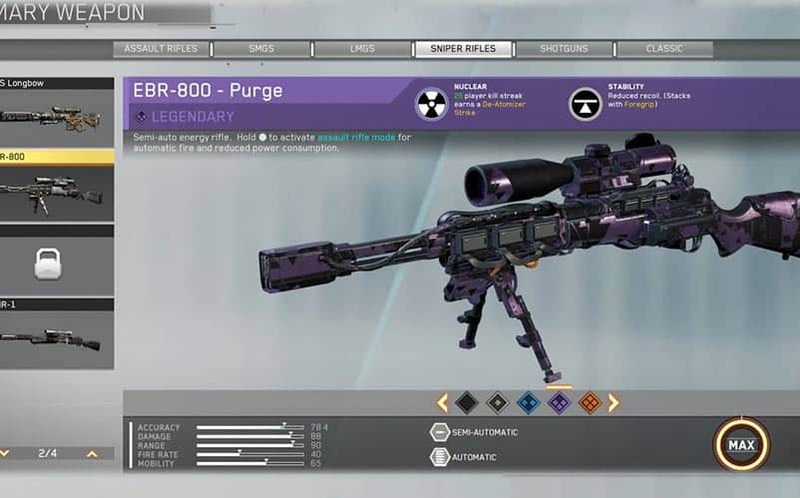 In fact, you even see in the various multiplayer promos that there are people running around with sniper rifles, using them more like assault rifles than a sniper rifle. The maps are much too dense, and when you pair that fact with the wall-running and movement abilities, it’s tough to call it a must-play experience. However, if you’re the type that prefers frenetic multiplayer over something a bit slower in pace, you’ll probably love what IW has to offer. There are also some questionable perk and gun design choices, like the Osiris’s Hunter Killer perk that highlights low-health enemies and a handgun that incinerates enemies with one shot. However, the idea of guncrafting is a great addition (although it needs some tweaking), and the pick 10 system is also something that should be included in future releases. As far as rating the multiplayer mode only goes, I’d give it a C-. And, the fact that the multiplayer is such a dud presents a unique issue when being asked to recommend (or not recommend) Infinite Warfare to other gamers. On one side of things, Zombies in Spaceland is great, and the campaign is really good, but on the other, multiplayer — which is the major reason most players buy a Call of Duty game every year — is disappointing. If you’re not much of a multiplayer gamer and you are only in it for the zombies and campaign, I can wholeheartedly and emphatically recommend you pick up Infinite Warfare. But if you’re only interested in CoD multiplayer, like many fans of the franchise are, you might want to take your military leave right about now.